2 Ways to Change red iPhone 7Plus/7/SE/6/5/4S/4 Backup Password? It is really highly recommended that you change iPhone backup encryption password regularly. You can try every possible way to improve the security level of your data since your red iPhone 7/6S/6/5/4S/4 backup contains your apps, purchased music, SMS, contacts and other precious data. Here will show you how to change iPhone backup file password whether you lost it or not. 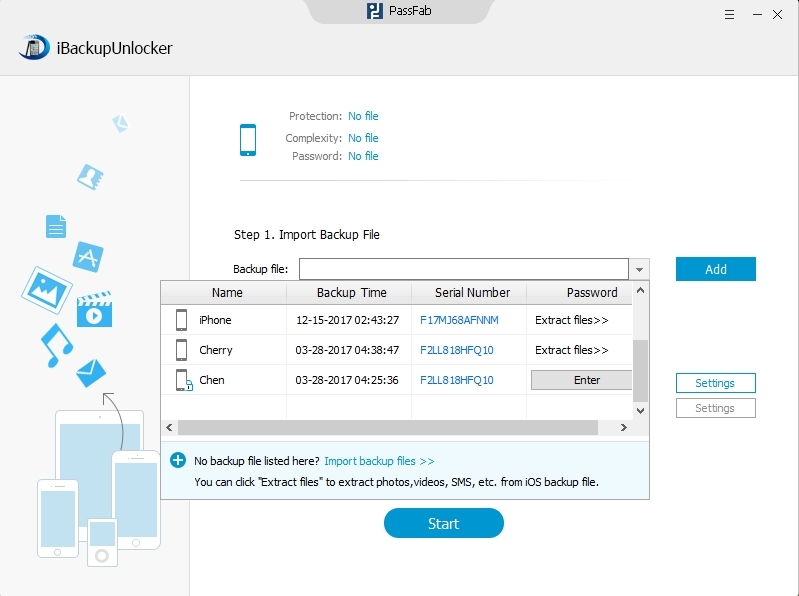 If you forgot your iPhone backup password, you will fail to restore from the backup files and the data will be unrecoverable. Fortunately, iTunes Backup Password Recovery is a professional tool for decrypting iPhone 5/4S/4 backup password with only three steps. Step 2. Choose from three Attack types according to their requirements and limitations. 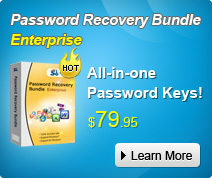 Then effectively recover your iTunes backup file password. Now you have recover your iPhone backup password iTunes with iTunes Backup Password Recovery successfully. Then you can get back your old password and you can also change your iPhone backup file password as the instructions shown in Part 2. Sometimes, you just need to change your old password to a new one for secure concern, and you can change iPhone backup password in iTunes. Follow the tutorials to know how to change your iPhone backup password. iPad and iPod can be set as the same way. Step 1. Connect your iPhone, iPad or iPod to your PC in iTunes. Step 2. Click "Devices" on iTunes interface. Step 3. 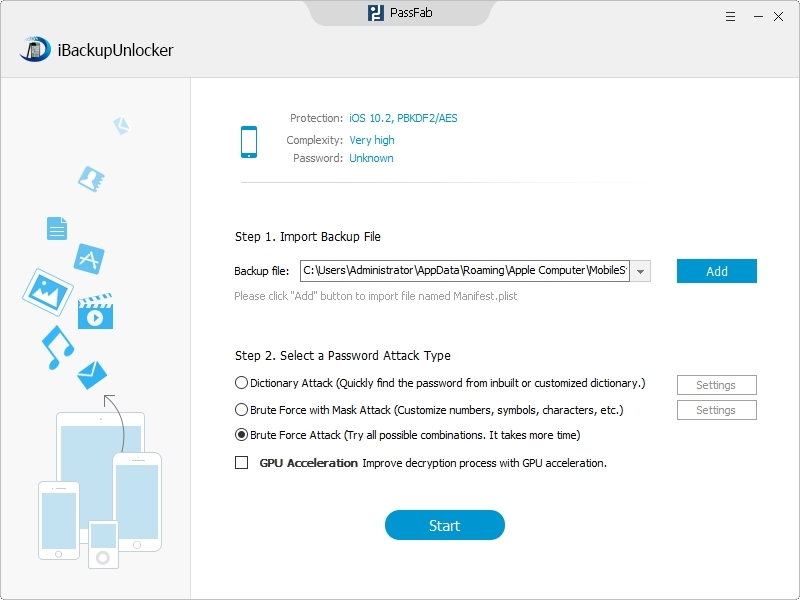 Change iPhone Backup Password. You will find "Change Password" option on the right hand column of the iTunes interface. 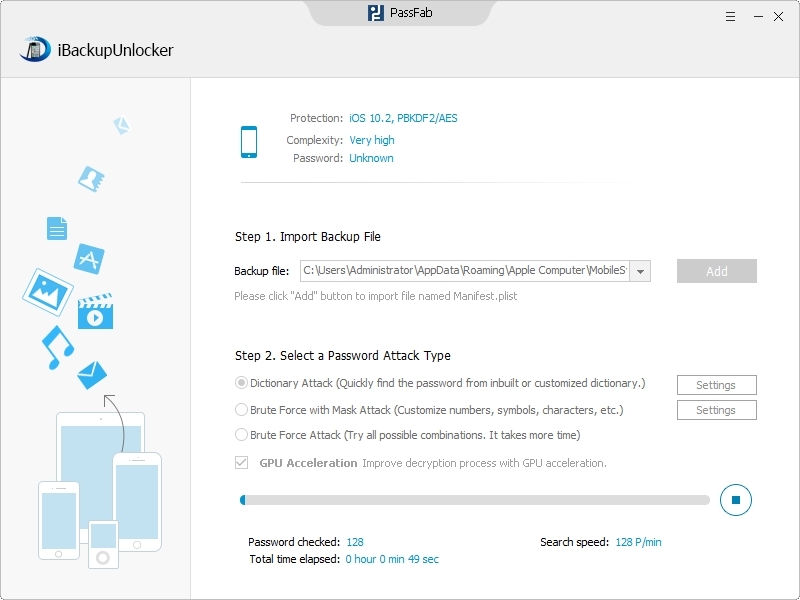 Click it and you are allowed to change iPhone backup password in the pop-up window. If you lost iPhone backup password, turn to iTune Backup Password Recovery to get it back. Then try to remember: to change your iPhone backup password regularly really can keep your files away from malicious damage.